Julie and I wish to convey our most heartfelt condolences to the daughters and entire family of Comrade Gregorio Rosal, Ka Roger, and to all cadres and members of the Communist Party of the Philippines, all the Red commanders and fighters of the New People?s Army, all adherents of the National Democratic Front of the Philippines and the broad masses of the Filipino people. All of us mourn the passing away of Ka Roger and feel a deep sense of loss. But more importantly we celebrate his outstanding achievements in loyal revolutionary service to the proletariat and people. We honor him as an exemplary communist cadre, as an outstanding Filipino patriot, as a valiant Red fighter, as a lucid communicator and as an effective educator and organizer among the toiling masses. We join the CPP, NPA, the NDFP, the organs of democratic power, the mass organizations and the entire people in paying tribute to Ka Roger. His revolutionary record is well summed up in the statement of the Central Committee of the CPP, giving him the Red salute, and in the statement of the Southern Luzon Regional Party Committee, describing him as the undying voice of the Philippine revolution and the Filipino people. Julie and I have always admired Ka Roger for having come from a family of peasants and farm workers in Batangas and having done hard work in order to augment the income of his family and save money for getting a certain amount of formal education. We have been proud that he joined the Kabataang Makabayan and subsequently developed his patriotic and progressive consciousness and activism to the level of a proletarian revolutionary. 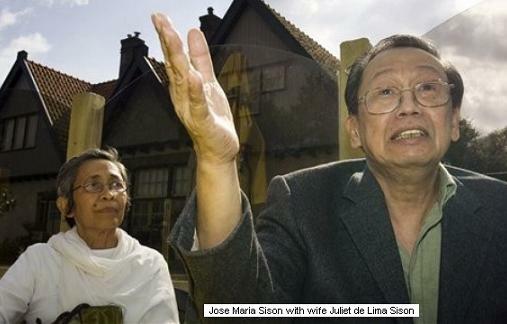 We were happy to know that he was among those who escaped from Camp Vicente Lim in 1973. And we laughed a lot when we learned from some of his co-escapees that he had a great sense of humor and they narrated to us some of his jokes which had carried serious political content against the US and the Marcos fascist dictatorship. We were amused by the fact that he had not been informed about the escape plan but sensed it eventually and insisted on being included in the escape. He excelled as an educator and organizer in Party and mass work. Thus, he rose to high positions in the Party, especially in the Southern Tagalog region. But the job that he loved most was that of being a radio broadcaster. He enjoyed making his own broadcasts from the Sierra Madre radio station and answering questions from his fellow broadcasters in the big Manila-based radio networks. He was serious when he often said that he would not like to occupy any high position in the revolutionary government but his ambition was to become a steady radio broadcaster after the victory of the new democratic revolution. At any rate, he was so good at propaganda work that he would be promoted to central positions as spokesperson of the CPP and the NDFP and as head of the CPP Information Bureau. Whenever I slackened in making radio interviews in the 1990s, because I had other work to do, I was always happy that Ka Roger was the frequent voice of the Philippine revolution and the Filipino people. He had the superlative advantage of speaking right within the Philippines and from among the revolutionary forces and masses. And he had a clear and direct style that expressed in simple terms for the benefit of the masses the most complex situations and analysis. 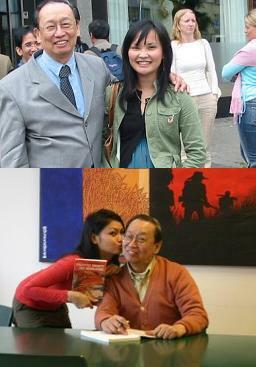 We, in the NDFP Negotiating Panel, had a plan in the early years of the previous decade to bring him abroad as a political consultant, not so much to provide him with medical care because he was getting excellent care from competent doctors in the Philippines but to take him away from conditions by which he always demanded to do hard work and take long walks on rough terrain. But unfortunately, the peace talks started to flounder in June 2001. We refer to the frustrated wish to show how much love and concern we who were abroad had for Ka Roger. But of course our comrades and friends in the Philippines gave him excellent care and comfort despite the risks and difficulties. No amount of help is enough to show gratitude for the selfless dedication and service of Ka Roger to the people. The revolutionary movement also showed strength of character and organization by being able to secure him from constant manhunt by the enemy as well as from the recurrent inquiries from his fellow broadcasters in the big mass media. The Communist Party of the Philippines today announced the passing of an icon of the Philippine revolution, Gregorio �Ka Roger� Rosal. According to the announcement made by the CPP, he died in a guerilla zone in June 22, 2011 due to a heart attack. According to the statement, the belated announcement was due to difficulties in first informing his next of kin who were in highly militarized areas. Youth and student activists of the 1990�s fondly remember the radio and TV interviews of Ka Roger. Whether it was discussing the policies of the revolutionary movement, explaining NPA tactical offensives, releasing prisoners of war, or discussing the Second Great Rectification Movement, Ka Roger�s distinct voice and simple language brought the news of the revolution to the entire nation. Somehow Ka Roger appealed to youth activists in the 90�s. Maybe it was the critical and creative surge coming from the rectification movement which swept entire mass movement. Or perhaps it was Ka Roger�s simple yet profound ways of explaining issues to ordinary people, a skill that is sometimes lost on many intellectuals. Or the fact that Ka Roger himself was once a student activist from the Golden Gate College in Batangas, and a member of the Kabataang Makabayan (KM). The man who would become the voice of the Philippine revolution came from humble beginnings, from a middle peasant family according to the statement of the CPP Central Committee. It was from this life of poverty that he would come to know of the national democratic alternative and struggle. He would join the ranks of the revolutionary forces of the CPP-NPA-NDF in the area known as Southern Tagalog. He would gain national prominence as spokesman of the Melito Glor Command. After two decades, he would become CPP spokesperson in 1993. Ka Roger inspired a generation of Filipino youth activists to serve the people in the countryside. Some of them are known today as martyrs of the revolution. Many continue their revolutionary work in various capacities. Activists in the 90�s were awed by pictures of Ka Roger in a mountain camp working on his laptop computer and reading the latest newspaper, before giving interviews to the media. Activists were thrilled to hear news of huge gatherings to commemorate the anniversary of the CPP. His December 26 statements on radio were mini �national situationers� that also gave updates on the status of the revolutionary forces. Activists followed Ka Roger�s radio interviews, especially his lively interactions with DZRH anchors Joe Taruc and Deo Macalma. Ka Roger�s on-air duet of �Lumang Simbahan� with Tiya Dely is now the stuff of broadcast legend. Many educated youth responded to Ka Roger�s call to the masses to send their best and brightest sons and daughters to join the revolutionary struggle. He helped them understand the need for thoroughgoing social transformation. He challenged them to study Philippine society beyond the confines of the classrooms. Next to CPP founding chair and NDFP Chief Political Consultant Jose Ma. Sison, Ka Roger was perhaps the most recognized face, the most photographed figure, of the Philippine revolution. That Ka Roger died not in enemy hands but because of an illness, in a way, shames the reactionary armed forces. It is no secret that they have tried but failed to arrest Ka Roger on many occasions as the recent CPP statements show. Till the end, Ka Roger eluded capture by the AFP. The CPP said that if ever Ka Roger died, it would not be kept a secret. He would be given the highest honors for his work in the revolutionary movement. A look at the CPP website will show just that. A grayscale image of Ka Roger, his name and the years 1947-2011, are now splashed on the homepage. In perhaps the first of its kind, all units of the New People�s Army nationwide will be in formation to give Ka Roger a gun salute on 12 noon of October 15. The national democratic movement and the masses have lost one of their best and brightest sons with the passing of Gregorio Rosal. It is however to Ka Roger�s credit that he inspired a generation of Filipino youth who will carry on the unfinished tasks of the Philippine revolution. 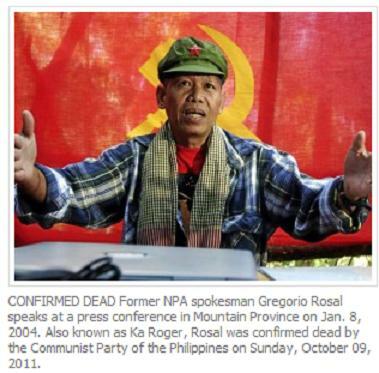 The leadership and entire membership of the Communist Party of the Philippines (CPP), all Red fighters and commanders of the New People's Army (NPA) and all revolutionary forces salute Gregorio ‟Ka Roger� Rosal. Ka Roger passed away on June 22, 2011 at the age of 64 after suffering a heart attack in a guerrilla front in Luzon. For more than a decade as the Party's spokesperson, and prior to this, as spokesperson of the New People's Army in Southern Tagalog (Melito Glor Command), Ka Roger was the face and voice of the revolutionary movement of the Filipino people. He symbolized the struggle of ordinary folk--the peasant masses, workers, the urban poor, employees and small professionals--who had lofty aspirations of liberation from the ruling system that oppressed and exploited them. As the spokesperson of the Communist Party of the Philippines, he was the bearer of good news about the revolution. His voice fired up the courage of both Red fighters and the struggling masses. The oppressed and the downtrodden thirsting for justice saw him as the conduit for airing their grievances. Like the majority of Filipinos, Ka Roger grew up oppressed and impoverished in the countryside. He was born on April 19, 1947 in Barangay Talaibon, Ibaan, Batangas. ‟Goring� was the third of six brothers and sisters: Nicetas, Bernardo, Felecidad, Emilia and Remedios, now deceased. Their father Pablo Rosal and their mother Crispina Crusat were both tenants serving a small landlord whose fields were mainly planted to sugarcane. His father boiled and stirred sugarcane juice to make muscovado while his mother tended to the fire. His family belonged to the middle stratum of the middle peasantry and supported calls for revolutionary change. At a young age, Ka Roger was witness to poverty under an oppressive and exploitative system. He worked hard even as a child in order to help his family. From grade school to his second year in high school, he was for eight years a servant at their landlord's household. He became an avid radio listener and read comic books as a pastime. Poverty forced him to stop his schooling for several years. To continue his formal education, he peddled mosquito nets and other goods that he bought on credit from loan sharks. He traveled far and wide to different provinces. Wherever he went, it was the same face of poverty and oppression that he saw. 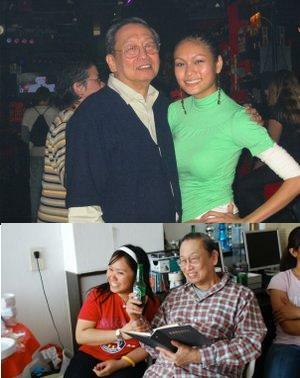 He was able to enter college at the Golden Gate Colleges in Batangas City in 1971 only at the age of 24. It was a time of ferment for the youth and students in Manila and other cities. As he went around selling his wares, Ka Roger occasionally encountered rallies and listened to the speakers. He began joining street protests and seriously studied history and current social conditions. Ka Roger became a member of the Kabataang Gabay ng Bayan, a Batangue�o activist group. He later joined the Kabataang Makabayan. Through his study of society and integration with the masses, he was able to deepen his grasp of the roots of the poverty and oppression suffered by the people. Gradually, he steeled his determination to become part of the historic movement that would change the face of society and open a new chapter in the people's lives. When martial law was imposed in 1972, Ka Roger decided to continue his revolutionary involvement. He became part of a team that was tasked to organize workers at the Batangas Sugar Central in Balayan, Batangas. In July 1973, he was captured by the enemy and detained at a military camp in Kuomintang, Batangas City. He was later transferred to Camp Vicente Lim in Canlubang, Calamba, Laguna. Determined to continue working for the revolution, he bolted prison along with nine other leading Party cadres in the region in November 1973 in what became known as ‟The Great Escape�. After their escape from prison, Ka Roger and his other comrades took the path of armed revolution in the countryside. He became part of the guerrilla front established in the Laguna-Quezon border along the Sierra Madre mountains--the so-called Larangan ng Kagitingan or Front of Heroism. Under Ka Lorena Barros' leadership, Ka Roger and other comrades were sent to Mindoro in 1974 to undertake social investigation and prepare the island for revolutionary expansion. By 1975-76, Ka Roger became part of the first organizing team in the Quezon-Bicol Zone that led the advance of people's war in Camarines Norte. He eventually led the guerrilla front committee established in the area. In succeeding years, Ka Roger became part of the history of revolutionary expansion and advance in the whole of Southern Luzon, especially in the Southern Tagalog region. In 1980-81, the CPP Southern Luzon Commission issued a decision forming the Southern Tagalog Regional Committee encompassing the provinces of Laguna, Batangas, Cavite and Rizal. Ka Roger was appointed to the regional committee as deputy secretary for education. When the South Quezon guerrilla front was later placed under the jurisdiction of the Southern Tagalog Regional Committee, Ka Roger played a major role in expansion work in South Quezon and the Bondoc Peninsula. After a few years, he became secretary of the Laguna-North Quezon-Eastern Rizal guerrilla front. Under his leadership, armed struggle and mass struggles advanced in these areas. The Quezon-Bicol Zone, South Quezon and the Bondoc Peninsula played crucial roles in expanding and consolidating the revolution in other parts of the Bicol region and Southern Tagalog. Mass struggle and mass actions launched in these areas played major roles in invigorating protest actions nationwide at the start of the 1980s. In 1985, Ka Roger was appointed as the fourth member of the Southern Tagalog Party Committee, elected member of the Regional Executive Committee and the Regional Secretariat a year later. It was also at this time that Ka Roger met Ka Soly (Rosemarie Dumanais) who would later become his wife. Ka Soly was then a young Red fighter. They had two daughters who they loved dearly and whose care they entrusted to their relatives and friends. Even if their daughters largely grew up away from them, Ka Roger and Ka Soly consistently saw to their welfare and security. In 1989, AFP Southern Luzon Command chief Gen. Alejandro Galido ordered fascist agents to abduct Ka Roger and Ka Soly's elder daughter Andrea from her grandmother's house in Ragay, Camarines Sur. The AFP had wanted to pressure Ka Roger to surrender. Instead of succumbing to such pressure, Ka Roger bravely exposed this heinous crime to the media. The military was forced to release Andrea in the face of the ensuing public outcry. Ka Roger was witness to the major strides taken by the revolutionary movement in Southern Tagalog. Nonetheless, he also witnessed one of the darkest episodes in its history. In 1988, the region launched Operation Missing Link, an anti-deep penetration agent campaign that led to violations of democratic rights. Although he had no direct role in the detention, torture and killing of a number of the victims, Ka Roger was among those criticized and meted disciplinary action because of his accountability as one of the region's leading cadres and his failure to take a stand against the hysteria. He criticized himself for this with all humility. When he was later assigned to Laguna where OPML was mainly conducted, he constantly reminded the Red fighters to humbly apologize to the relatives of the victims. The wounds eventually healed and revolutionary mass struggles advanced in the guerrilla front. Whatever he experienced in his personal and political life, Ka Roger never despaired. He fulfilled his duties as best as he could. Beyond this, he made outstanding contributions in the field of propaganda. As a leader of the Party, he knew full well the importance of propaganda work in advancing people's struggles. Ka Roger pioneered active propaganda work on radio and other mass media. In 1986, he first became known as Ka Roger when he oversaw the release of prisoners of war in Quezon. In 1987, he served as the spokesperson of the National Democratic Front (NDF) in Southern Tagalog in peace negotiations with the Government of the Philippines. In the next several years, as spokesperson of the Melito Glor Command, Ka Roger tirelessly engaged the mass media to explain the CPP and NPA's views on various issues. He likewise oversaw the publication of Kalatas, Southern Tagalog's revolutionary mass newspaper, and broadcasts of Radyo Pakikibaka, the region's revolutionary radio station. Ka Roger was appointed as Party spokesperson in late 1993. Among his first duties was to advance the Second Great Rectification Movement in the field of propaganda. He went all out in engaging in political battles the counterrevolutionary renegades who resisted the rectification movement and maligned the Party. Ka Roger was appointed to the National Propaganda Commission in 2001 and served as its deputy secretary. Besides serving as the CPP's spokesperson, he also helped oversee the regular publication of Ang Bayan, as well as work in the Philippine Revolution Web Central and Sine Proletaryo, the CPP's video outfit. For more than a decade, he served as Party spokesperson and headed the CPP Information Bureau. From VHF radios to modern cellphones, he used all methods of connecting with the mass media to transmit nationwide news from the guerrilla fronts. Ka Roger's voice and his straightforward explanations of complex issues were eagerly awaited daily by Red fighters and ordinary folk throughout the country. His simple style of presenting the Party's stand was extremely effective in helping people deepen their understanding of the issues and raising their political consciousness. He always exposed the lies spewed by the reactionaries, especially the fascist spokespersons of the Armed Forces of the Philippines (AFP) who endlessly concocted one prevarication after another. Thus, he was deeply hated by the reactionaries. He invited reporters, broadcasters and writers from the media to the guerrilla zones so that they could see for themselves the reality of the revolutionary movement and how this was being advanced by the Filipino people. Inside the guerrilla zones, they came to know Ka Roger as a simple man. They listened to him as intently as he listened to them convey their problems and grievances. Ka Roger gained their respect, if not their admiration. The ability and patience, the sharpness and intelligence, the patriotism and love of country demonstrated by Ka Roger further raised the prestige of the Party and the revolutionary movement. As the CPP's spokesperson, Ka Roger was indefatigable in bringing news of the Philippine revolution. He would hike for days, cross rivers and seas and go on long road trips to get to wherever he was needed. He granted almost all requests for interviews, any day and at any hour. Because of this, he gained many friends in the media. Ka Roger once sang ‟Lumang Simbahan� in a duet on the air with the famous singer and broadcaster Tiya Dely Magpayo. As Party spokesperson, Ka Roger led several public activities, including a celebration of the Party's founding anniversary in Laguna in 1993 attended by thousands of people who gathered under the CPP banner. He oversaw the release of several prisoners of war in Southern Tagalog and Bicol. Despite intense AFP operations, he was able to conduct press conferences in guerrilla fronts in Laguna, Albay, Quezon, Mountain Province and other areas. With their extreme hatred for Ka Roger, the military kept on slapping him with various trumped-up charges. He was demonized and portrayed as a criminal. A `5 million bounty was offered for his capture and millions of pesos were spent on fascist military operations to kill or capture him. The AFP launched a number of military campaigns to capture Ka Roger in Laguna (1998), North Quezon (2000-2001), South Quezon (2002), Albay (2003), Masbate (2004), Mountain Province (2005) and again in South Quezon in 2005-2006. Their intelligence operations were relentless. Fascist operatives continually surveilled his daughters, siblings and other relatives and friends. The CPP Information Bureau security unit figured in a number of gunbattles. But because of the depth of mass support, Ka Roger was able to overcome all the enemy operations against him. Ka Roger paid no mind to fatigue and the dangers attendant to the fulfillment of his duties. He would spend late nights writing, studying and presiding over meetings. He would rise at dawn and immediately resume working. Tireless work soon took a toll his health and resulted in a number of major illnesses. In 1995, he almost died of typhoid fever contracted after a long and gruelling journey to a guerrilla zone. He suffered a relapse when he decided to immediately resume his revolutionary tasks despite his doctor's advise for him to take a month-long break. In 1997, he suffered his first stroke. But he quickly recovered and was able to return full swing to his revolutionary work. He suffered his second stroke in 2000 and had to go on leave for a few months. But as he did after his first attack, he strove to return to his revolutionary work in the countryside. He suffered another stroke on May 1, 2006. This third stroke caused more damage to his body. Despite his physical incapacities, he was determined to continue being of service to the revolutionary movement. He persevered in overcoming his disabilities. But the severity of the damage caused by this stroke led to the gradual deterioration of his condition until it became impossible for him to resume his previous tasks. 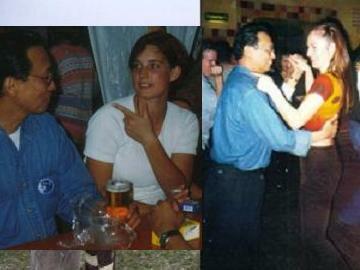 From 2006 to 2011, Ka Roger was cared for by a team of comrades who ensured his security, medical needs and quality of life. Although he could no longer assume his usual responsibilities, he kept in close touch with the Information Bureau and was consulted from time to time on its work. Despite his handicaps, Ka Roger kept himself well-informed about advances in Party work, especially in the bureau. He continued to participate in collective discussions, education work, planning and criticism and self-criticism sessions. He happily engaged in discussions with comrades who never tired of listening to his stories about his activist days, his experiences in the countryside, his daughters, wife and mother. During light moments, he would grant comrades' requests for him to play his harmonica. His daughters were able to visit him on several occasions and stay for weeks to months on end to help care for and deepen their bonds with him. Ka Roger was happy to see his daughters grow up serving the people. He was also pleased with the fact that although he and his wife divorced in 2003, they remained friends and good parents to their daughters. Although they were often away from him, his daughters wrote to him often to keep in touch and ask his advice on various life concerns. Even with his disabilities, Ka Roger still woke up at dawn to listen to the news. At times, he was able to review statements issued by the Party. He was deeply concerned upon hearing about about media killings and about the deaths of several reporters in the Maguindanao Massacre in November 2009. On New Year's day of 2011, he personally reviewed and approved his message to the Filipino people, calling on them to intensify their revolutionary struggles in the face of the absence of change under Benigno Aquino III's new reactionary regime. Ka Roger spurned the offers of medical assistance from the AFP. He was aware that these were traps and saw the hypocrisy behind them, as the military never withdrew the bounty on his head and relentlessly pursued operations for his capture. On April 19, 2009, comrades gathered for Ka Roger's 62nd birthday. The CPP took the occasion to pay tribute to him and remember his contributions to the Philippine revolution. They sang ‟Awit ng Kainginero� which Ka Roger composed in the 1980s in Southern Tagalog as a tribute to ordinary peasants. They all saluted him for the life he dedicated to serving the people, the Party and the revolution. Until he breathed his last, Ka Roger devoted every moment of life to the hungry and deprived and their revolutionary struggle for social justice and national liberation. The entire membership of the Communist Party of the Philippines, Red fighters of the New People's Army and the Filipino people are one with his family and friends in mourning his death. With clenched fists raised and rifles held in salute, they hail Ka Roger, an oustanding communist, courageous Red fighter, militant defender of the people, respected comrade and good friend.